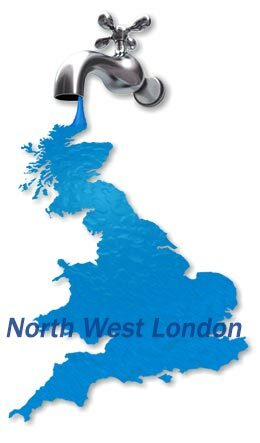 Our Cenral Heating Company are based in London however, we cover North West London we also cover most of the London area. We will be with you within the hour, and our boiler engineers will also make sure that they always provide customers with a great service! So if you are looking to repair your boiler or even if the old one is given up and looking to change it just give us a call and we will be with you in NW London ASAP! It has happened to you that exactly in the moment when you less expect it, your boiler stop working? That is one of the best things that can happen to us, and it does happen to many of us, it’s normal and especially this time of year when the winter will be soon at our door step, we need to make sure our heater system is working properly and above of all, our boiler. We know this and that’s why we are the experts when it comes to emergency boiler repairs in North West London, we had handle many of this situation by the last 7 years. You can rely on us without a shadow of a doubt. Are you having a boiler emergency? We know that some of this problems came in a very inconvenience hour of the day, or in the middle of the night sometimes, that is why our team is ready 24/7 and always ready for the work. Our principal goal is to provide you with a great Central Heating Service and make this a 24 hours a day emergency boiler engineer that will fulfil all your needs, for any 24h Boiler Repair in North West London, because of this our engineers are well trained and with lots of experience in the boilers field and they will be able to provide you with a secure and affordable price for you to relax and enjoy of the best 24 hour boiler repairs in NW London. Stop thinking about it and contact us now, we are ready to be at your service. Looking for an boiler engineer in North West London to fix your boiler ASAP? Well we can help with that! Our qualified engineers have years of experience and are able to help you with any boiler related problems. We are here to give customers the best service possible, but remember we don’t just cover the NW London area we also cover most of London. So give us a call!